I suspect VD will do about as well with Stackhouse as coach as Bama did with Avery as coach. An NBA pedigree does not guarantee success as an ncaa coach. Obviously in the minority, but I like the hire. Did well in D league and think he should do well in recruiting as well. Good hire for them. Y'all have no vision. Very similar strategy to what Memphis did with hiring Penny, except Stackhouse has no connection whatsoever to Vandy or the city of Nashville. Hired for his name/cache and AAU connections, not proven coaching ability. For a school in Vandy's position, there could be worse hires. I wouldn't recommend a big time school follow that route, even if rebuilding. 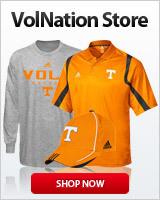 I would say UT is the reason UT has been continually losing to Vandy. Not Mason who has yet to have a winning season after 5 years there. Vandy's just been the taller midget the past several years. I hope he does get run off though because I like the guy but I really hate losing to Vanderbilt. Not sure what is so strange or interesting about that. Wtf. How is this even relevant? It’s just a random hire for a public school in Durham that is not a powerhouse and in his press conference it was just kind of bizarre . I’m pretty good friends with 3 coaches in the conference and they all were kind of like “what the hell?” Some things just didn’t add up to them. He is doing it because he loves the game and coaching. He lives in the neighborhood and wants to coach the local kids. Money is not a factor so he took a job purely for the joy of coaching the kids. As long as he puts the effort into it, seems like a good hire for the school. He knows the game, and people surrounding it. Coach K says he's a good guy and glad to see him involved in the local high school. I never liked the Pistons when he played for them but I'm sure he has matured since then. I wish him well. Avery didn't have any relationships with HS kids. Stackhouse does. He has obvious ties to Memphis kids, which can't hurt.